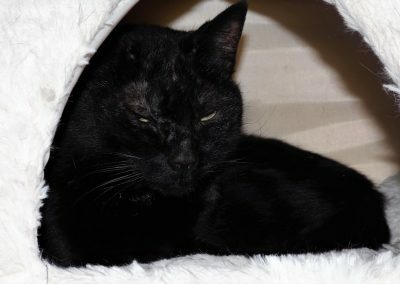 Camera shy Onyx is a lovely, large black cat who has arrived from a home where she sadly wasn’t getting as much love and attention as she deserves. 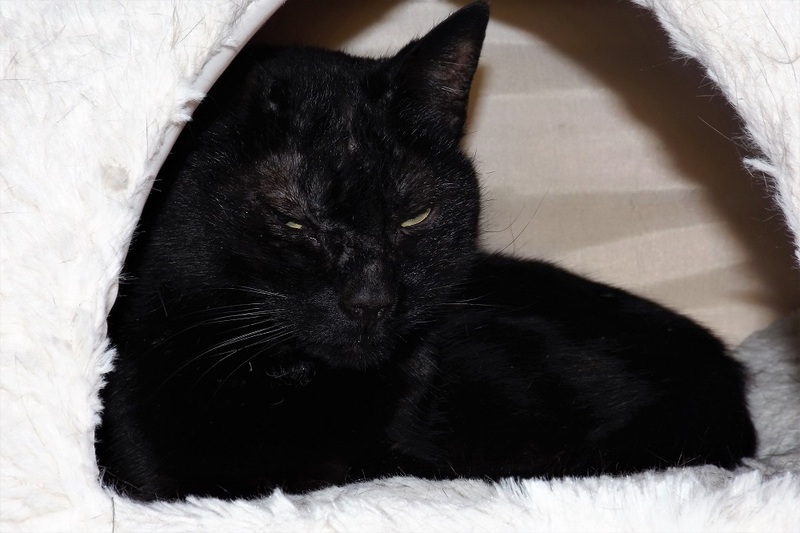 Onyx does have a little hair loss on her face however with regular flea treatments, some good food and a little TLC she will soon be back to her best. 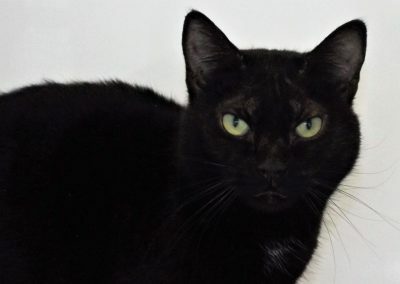 Onyx has a super personality, she is a quiet, loving and friendly girl, she adores her igloo bed and would no doubt be just as happy curled up on a nice warm lap. Onyx will be spayed, chipped and at least received her 1st vaccination prior to rehoming.